Pope Francis has managed to do it again! Upset people by declaring by word and action that all are God’s people – God’s children. Remember, after the criticism of Pope Francis washing the feet of women he changed the rules. In Card. Sarah’s Decree we read that “it seemed good to the Supreme Pontiff Francis to change the norm”. Thus, now: Missalis Romani (p. 300 n. 11) legitur: «Viri selecti deducuntur a ministris…», quae idcirco sequenti modo mutari debet: «Qui selecti sunt ex populo Dei deducuntur a ministris…» (et consequenter in Caeremoniali Episcoporum n. 301 et n. 299 b: «sedes pro designatis»). 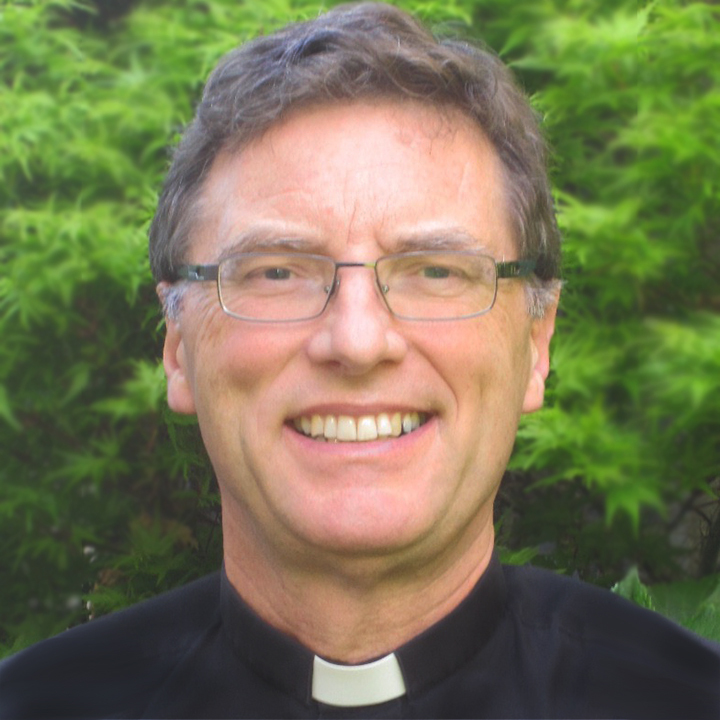 I note, however, that – in the Missale Romanum – the group from which people might be selected is restricted to “Populus Dei… the People of God”, which means, I think, at least Christians. The Caerimoniale has different language. So, the rubric changes from “viri selecti… chosen males” to “qui selecti sunt… those who were chosen”. This unprecedented innovation will be in effect for the Ordinary Form this coming Triduum. 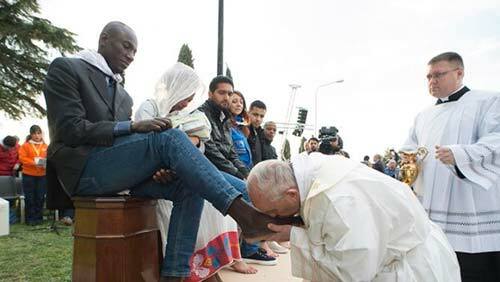 Last week Pope Francis, at the Maundy Thursday Eucharist, washed and kissed the feet of twelve refugees at a migrant centre in Castelnuovo di Porto outside of Rome, Italy. The eight men and four women, included Muslims, Coptic Christians and a Hindu. For Pope Francis “Populus Dei… the People of God” means all people. Pope Takes One Small Step Towards Women Priests? Its a nice sentiment but I would argue that while man generally is made in God’s image His children are identified, elected and adopted by God through His son Jesus Christ. Christ’s bride stands apart from the rest of mankind. What the Muslim, Hindu etc need is the Gospel, opened eyes and a new heart. Thanks, Terry. I think everyone’s need is the Gospel, opened eyes and a new heart. Easter Season Blessings! It is such a powerful symbol and I cannot watch this without weeping for joy. If only the news about the treatment of the refugees were more positive.